As President and principal member of the firm, Mr. Shulin is directly responsible for overseeing the day to day operations of Liberty Property & Asset Management. These responsibilities include directing a full staff of property managers, bookkeepers, construction managers, maintenance technicians and support personnel. He personally oversees the operation of each and every property that the firm manages. 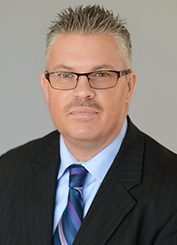 Mr. Shulin has over twenty-five (25) years of experience and he is extremely knowledgeable in all facets of the operation, management and disposition of commercial properties. His past experience includes ten (10) years in property management for Kojaian Companies. He currently oversees the management and operation of a portfolio of commercial properties valued in excess of $100 million.